Descriptions - Speed Control,RC Helicopter is one of the best flying remote control helicopter. Fitted with an in-built gyroscope, this RC helicopter features amazing hovering performance and great stability. Ideal Gift - Perfect for the beginner or kids just diving into the thrilling world of flying RC toys. And to complement the smooth flying, this RC controlled helicopter using ultra-durable materials. So you will never have to worry about minor crashes and bumps, flying has never been this easy.The tail rotor of the helicopter can overcome the torque to achieve balance.It has LED headlights, with the special appearance, you will love it at the first sight. Functions - Turn left/right, up/down, Low voltage cut-off protection/Over-charge protection/Over current protection/Motor blocked protection, anti-interference protection, break-resistant, infrared control/sensor automatic induction Miniature size and light weight. Portable and easy to carry. Super wide infrared control, easy to fly. 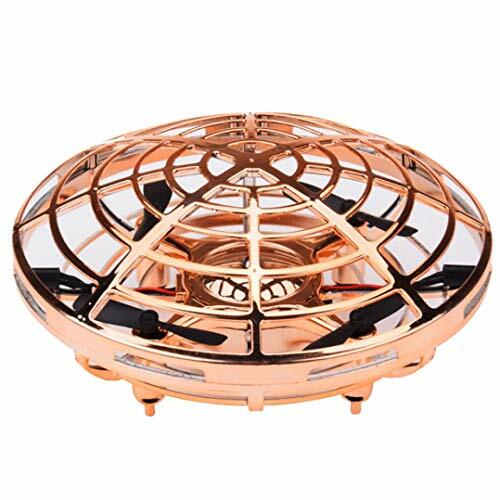 Guarantee - If the Drone make you dissatisfied or have any quality problems, just contact us by email, we would replace any defective products for our customers. If you have any questions about this product by Pausseo Toy, contact us by completing and submitting the form below. If you are looking for a specif part number, please include it with your message.